When you get a new jersey and its from your favourite shop, is it ok to get all misty eyed? Plenty when it’s me and it’s this one. Ironically when the piece was forming in my head I was looking at my GB Masters jersey from the Tour of Cambridgeshire qualification. A retro looking, Renault Elf circa 1984 inspired garment took my eye. I misted over thinking about how linked my cycling history is with the treasure trove of cycling wonder that is Bristows Cycles. The great thing is that there are magical little bike shops all around the length and breadth of this island. We all have one that we bolt to and where we can chat and rummage and enjoy our sport. I first landed in Bristows in 1989. A Dawes Impulse, SunTour equipped was my purchase and from that day forward regular servicing and tibit purchasing has been the norm. I shudder to think of the amount of money that has rattled through the till of this establishment. Dave, the owner would probably smile! The summer of 1992 saw me hold down three jobs before plumping for a dura ace STI leaden Bob Jackson custom. All sourced and built through the shop. The Mavic (Open 4 CD’s I think) wheels were hand build on site and that machine propelled me to many of my best results in bike racing. I used it for road and time trialling. After a lengthy period without a new bike I headed in the store in 2006 only for a browse, before leaving the proud owner of a Bianchi. I was precious over the brand choice (as Bianchi owners are! ), but also of the Bristows cycles sticker on the seat tube. My bikes always seemed better with the yellow crest on them. The years have rolled on and after numerous wheels and gels and shoes and helmets, I now find myself riding out in a Bristows jersey. 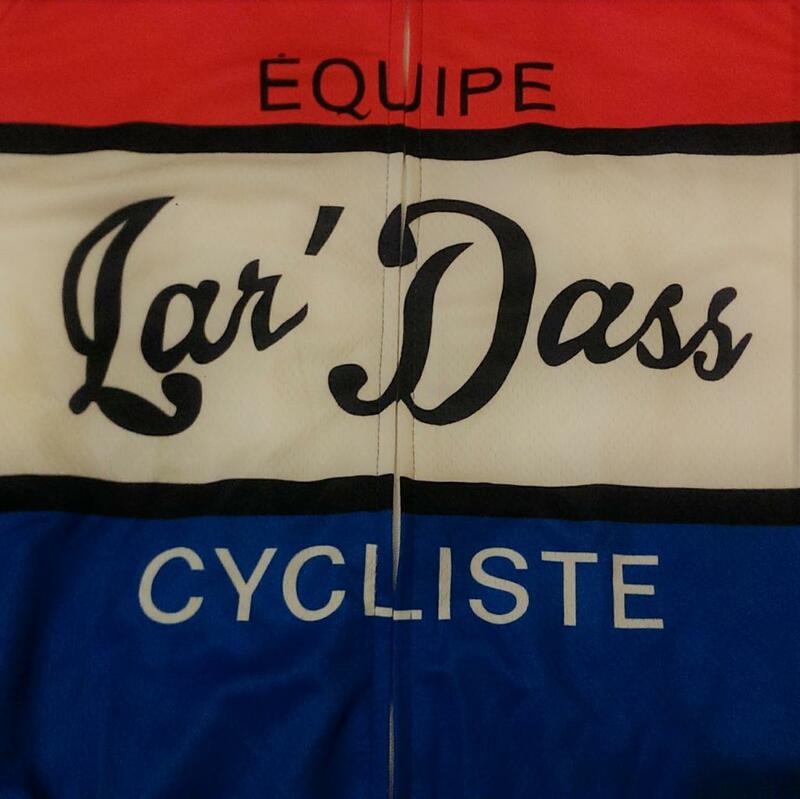 They have been pondered for many years as an option, and I have been chomping at the bit to get out there in the colours of my cycling spiritual home. Now they have arrived I am not disappointed and will enjoy hitting the Huntingdonshire lanes in black and yellow. Where is your cycling holy ground? Very very cool, I'll keep my eyes open for you on the road as I'm in the local area. It makes no difference to a good blog, just to say that it's 'champing' at the bit. That's a good looking jersey.